Over the past six years, the team behind Marshall White Projects has been involved with a vast number of projects from start to finish. What does this mean for a company that delivers a premium service to high-density residential development clients? “We continue to deal with builders and developers who can deliver what they initially advertise in their renders and marketing,” says Leonard Teplin, Director at Marshall White Projects, indicating the importance of working with development teams who care about high-quality residences, and integrity. “As the off the plan apartment market is highly competitive, there are some key features that set a standard. 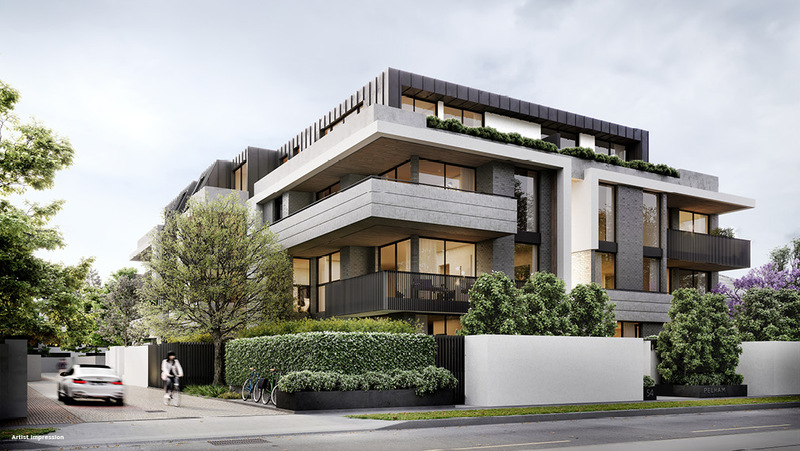 We’ve moved beyond basic features (like ducted heating and cooling, stone benchtops and engineered timber floors) and instead are seeing developers “value stack” their projects in an attempt to create a point of difference,” Leonard explains. Leonard suggests buyers look at each of the companies involved and conduct thorough research. Have these teams successfully brought developments to fruition in the past? Were the buyers of these projects happy with the results? Leonard recommends contacting owners and asking them questions about these projects, as they will probably give you an honest and authentic assessment. More than just a collection of homes, Emerald Grove is an expertly planned community purpose-built to enhance enjoyment and liveability. Featuring stone benchtops with waterfall ends, premium chrome fixtures and fittings, and glass splashbacks in the kitchen as well as a suite of stainless steel appliances, these homes are an entertainer’s dream. These new homes at Surrey Gardens have been inspired by the leafy streets and parks of the neighbourhood, and emulate a natural style and serenity. The courtyards and terraces are designed to bring the outdoors in, and benefit from beautiful views, an abundance of natural light and air ventilation. Inside, a combination of high-calibre finishes and materials have been carefully curated for quality and durability. Stone island benches and marble splashbacks, as well as European appliances, combine aesthetic style with functionality in the kitchens. Search here for other Marshall White Projects developments.